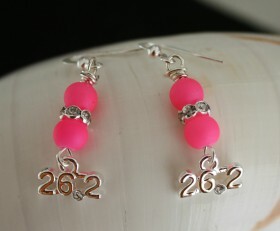 Running shoes come in the hottest colors and so should your earrings. 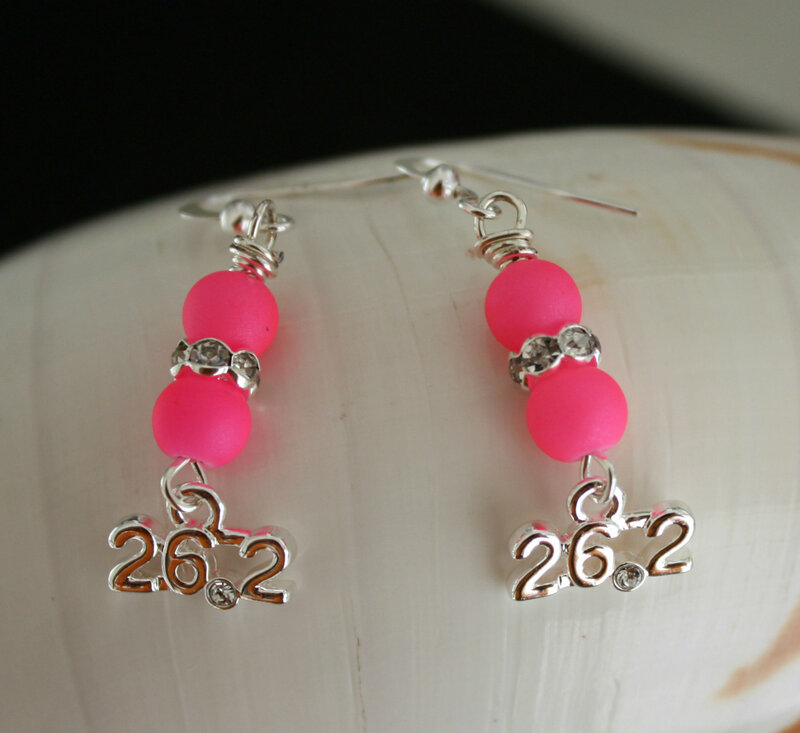 Beautiful 26.2 earrings with a clear crystal for the decimal, adorned with neon pink Swarovski pearls. You standout for your accomplishments and now for your earrings. Also available in 13.1. Select your race distance before checking out. Categories: Neon Jewelry, Running Earrings, Running Jewelry, Shop.